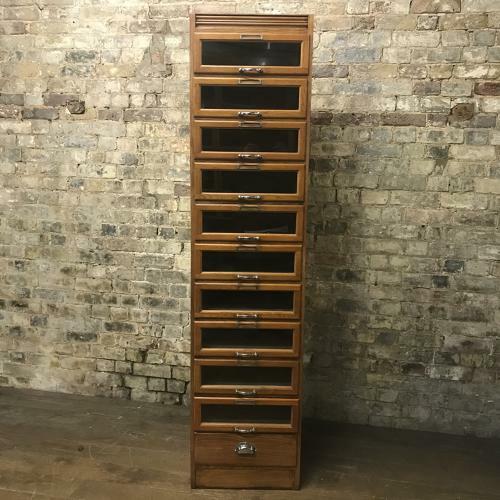 This oak cabinet is very hard to find in this size. It is from the 1950s and was purchased from a ladies dress shop in Windsor. It is in lovely original condition and is ready for use. It has art deco style chrome handles.